Hello sweet friends! Welcome to this week's #TuesdayTune. This weekend I am happy! It is cold, there's only one more week of school and then my kids are on Winter vacation and this weekend is a long weekend for the Queen's Official Birthday, the day when the birthday of the monarch of the Commonwealth realms is officially celebrated. Australia observes the Queen's Birthday on the second Monday in June, marking it with a public holiday that also serves as the opening weekend to Australia's snow season! So, keeping all of this in mind, this week I am continuing my celebration of all things winter with a special wintery #TuesdayTune. Have you heard the Fleet Foxes sing? Mentioned as one of her "Desert Island Discs" in Dawn French's 2008 autobiography Dear Fatty, the Fleet Foxes are led by vocalist/guitarist Robin Pecknold, who fashioned his band's harmony-rich sound in honor of such perennial '60s artists as Bob Dylan, Neil Young and the Beach Boys. They mix baroque pop with elements of classic rock and British folk and are most often compared to Fleetwood Mac, Neil Young and Crosby, Stills & Nash. I hope you enjoy White Winter Hymnal from the Seattle folk band, Fleet Foxes. 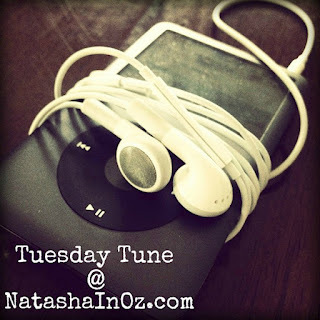 If you would like to link up a song (or any other music that you have blogged about recently) to my TuesdayTune Link up, please just add the url of your particular blog post that you would like us to visit to the Linky tool below. 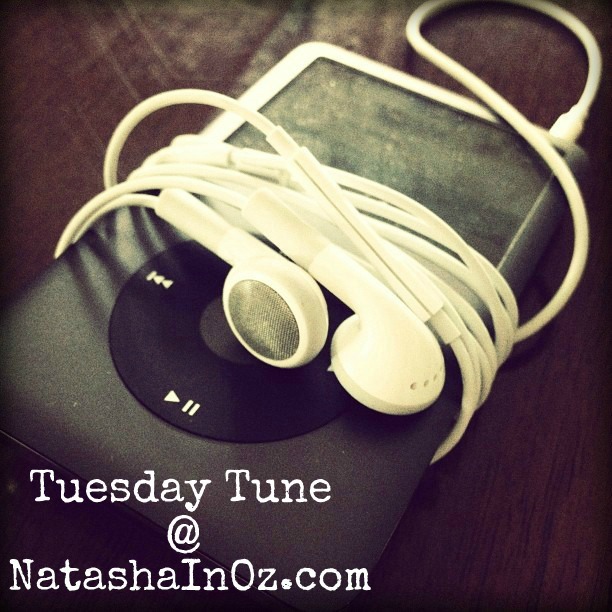 Please feel free to use one of the Tuesday Tune buttons and to link up a song you have already linked up before. Thank you so much for stopping by and visiting me in my little corner of the world Down Under! I love it when my fabulous bloggy friends visit-your friendship and support makes my day! Natasha, I am so pleased you are doing Sunday Song again. Thanks for sharing that song. I had never heard it before. I'll try to remember to link up next weekend. I love being exposed to different types of music. I love hearing new groups that I never heard before. This was an awesome post. Stay warm and have a great upcoming week. This was really good music. I'm surprised they're from Seattle. So glad for you that the Queen's birthday means a holiday for you! Enjoy! It is so hard to think about it being cold where you are! I think of Australia so wrongly. Happy skiing! Glad to have a friend on the other side of the world. I would love to visit your country. It's so strange to think of it being winter somewhere right now. It really is feeling like Winter now. I have linked to your blog on my post today - thank you for the mop giveaway, I love it! You always introduce me to great music. I love this sound. Oh, you are in a wintery wonderland. When my girls were little I used to love when they were home from school, so I had them all to myself for a bit. We would go sleigh riding and skiing. We are entering summer now here in New England. All the gardens are lovely this time of year. Wishing you snowflakes and hot chocolate days. It is so neat to think that it's winter time somewhere. Right now in the US we are having a bit of a heat wave! I could go for a little winter right now. Natasha..thanks so much for sharing such a great band and singing group. I love folk style music. :o) And the video was so cute! I do hope I can get in the groove of Sunday song. I tend to visit with family and rest over the weekend. But I'll work on it and try to get the word out. I've never heard of them thanks for sharing this group/song. What a lovely, lovely song! I really like it. I haven't heard of this band before but I really love the sound of their music. I was thinking of you the other day, Natasha. I can't wait until Christmas so I can enjoy your other Christmas blog again. I can't believe I just said that in the middle of summer!!! I think that you are going to like my entry today!